With just under five weeks until April 23, the night that 25,000 volunteers — including many booksellers — will go out into their communities to give a book to light or non-readers across America, World Book Night U.S. is launching a weekly countdown of scheduling, publicity, and resource material updates. Now in the mail to booksellers are stickers for displays of regular editions of the WBN titles, a full-color in-store sign, and a press release template. These items and more are also available for downloadable from the WBN website’s Resource Section. WBN has also sent an e-mail asking if booksellers need more stickers and the three-foot poster from last year, as well as requesting that stores provide an update on pre-WBN receptions. Week of March 25: An e-mail will be sent to booksellers with the number of givers per store and a publicity update. Week of April 1: Booksellers will receive book givers’ contact information so that they can notify givers that boxes are en route and invite them to the store’s WBN reception to be held the week of April 15. Week of April 8: Booksellers will receive, check in, and store WBN boxes for givers who have chosen their bookstore as a pick-up point. Stores will contact givers to let them know their boxes have arrived and that they can come in next week to pick up their box and materials. Missing boxes can be resent. Week of April 15: Host stores will hold a reception for book givers and invite the local media. National publicity begins. 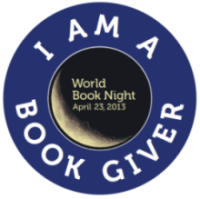 World Book Night is Tuesday, April 23.